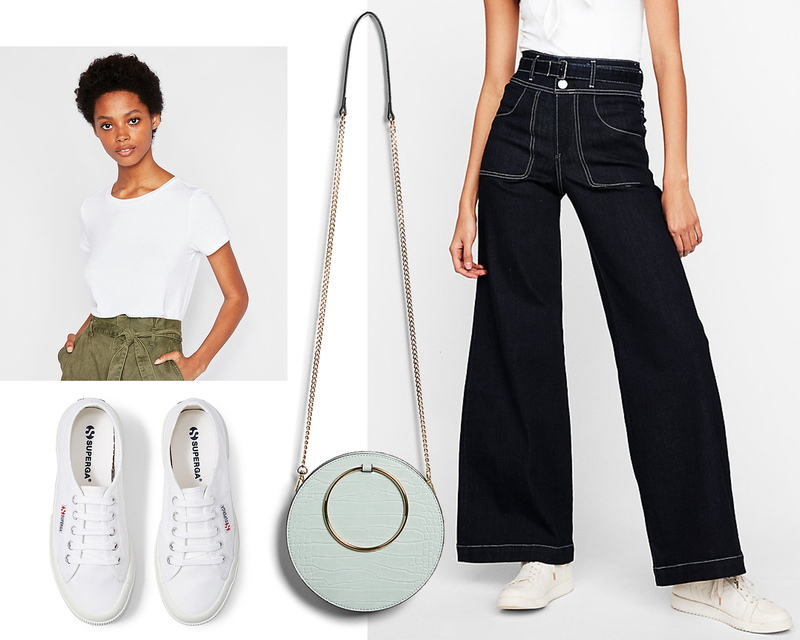 When shopping for the perfect fit, you’ll want your wide-leg pants to feel comfortably snug through the waist, hips, and bum and flow over your thighs downward for a billowing effect. Be sure to avoid an overly flared leg as this can make your overall shape seem wider, especially if you have muscular or curvy legs. The hem is important, too. Whether you’re sporting structured twill and denim or floatier fabrics, it’s crucial the bottom of the pant hits you at the right place. If you opt for a cropped style, choose an ankle-grazing length to perfectly showcase sneakers, mules or slides. For a more polished take, full-length silhouettes should just barely skim the floor—mid-height block heels, boots and pumps work best to elongate your legs for sophisticated effect, but are still comfortable. 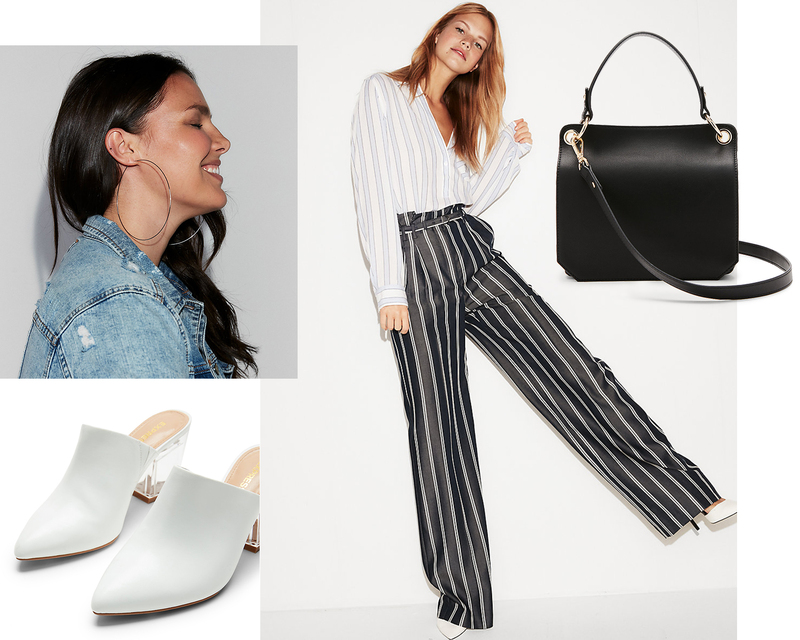 For a more modern, slouchier look, the length can be a bit longer to break just so at your shins—this works best with sneakers and slide sandals. Fair warning: your hems will likely drag on the ground, but it’s a lewk that feels fresh for the season. When it comes to styling, the modern mood is all about a juxtaposition—you want to appear put together but with a twist of nonchalance. 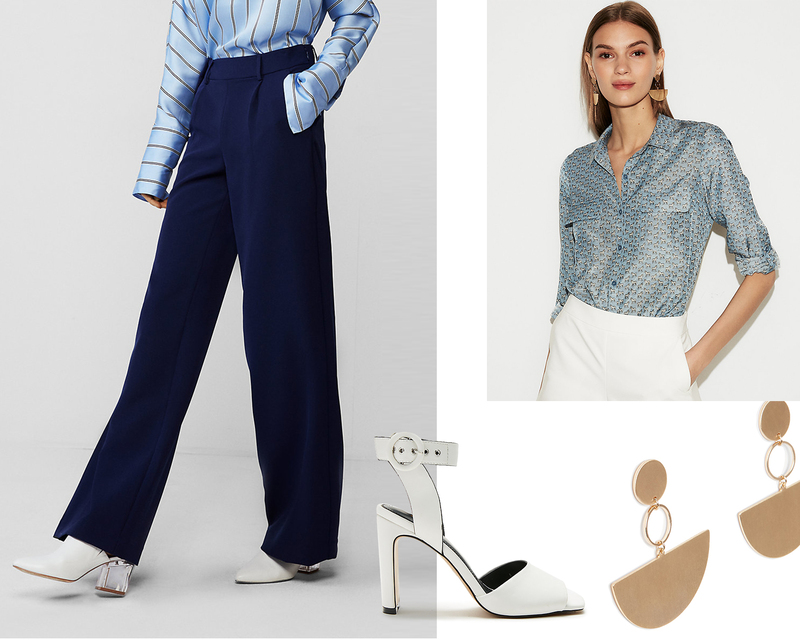 A button-down blouse should be a bit oversized with gleaming gold jewelry and pared-back accessories for a fashionable twist on workwear. 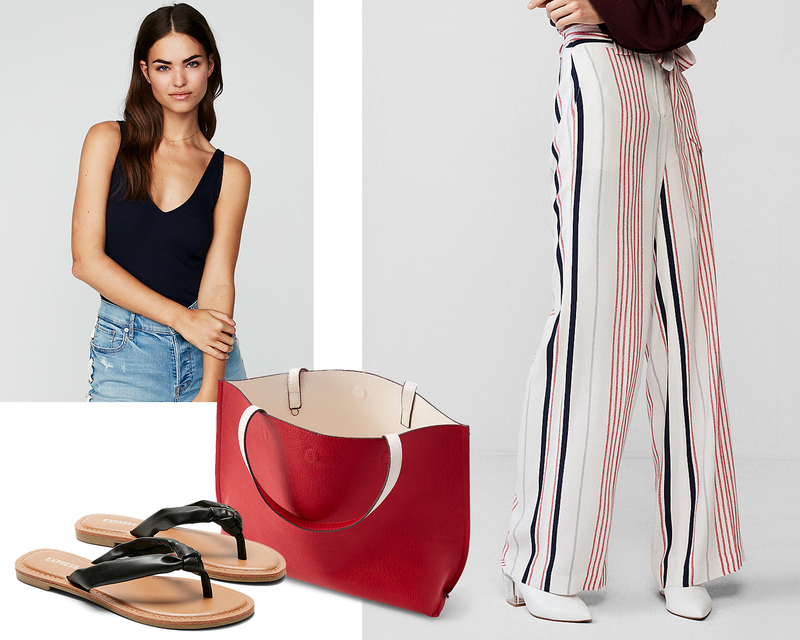 On casual days, get playful by pairing our pants with feminine tops and summery accents—straw bags, Baja-style flip-flops, and retro sunglasses will perfectly punctuate wide legs. Think you’re ready to try this season’s wide-leg pants? Ahead, we’re breaking down 5 fresh formulas to try now. Each one will flatter every body type and size. After all, that’s the beauty of the wide leg. Stripes on stripes works well with a little opposition—you don’t want the lines to be too matchy-matchy nor the same fabric. Temper a graphic stripe pairing with sleek accessories in neutral shades. Top-stitching gives dark indigo denim a modern feel. Likewise for the super-high waist. Sneakers here are the perfect choice—exaggerated details like wide laces create a forward effect. Keep the rest easy—a crewneck tee, round handbag and optic white sunglasses are a fresh finish. 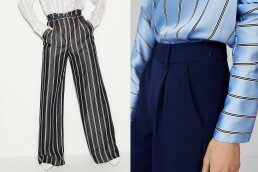 Another modern take on workwear, a twill wide-leg trouser is endlessly versatile. For a touch of spirit, try a quirky-print blouse with sculptural earrings and strappy summer sandals. Add in a layered pendant for extra polish. Once more for stripes! The print is essential in warm-weather and our pick for laid-back days or on-the-go style. A ribbed V-neck tank is a fail-safe base to bold lines. Surfer-style flip-flops, a minimal carry-all, and resin hoops are at once fashion forward and relaxed.